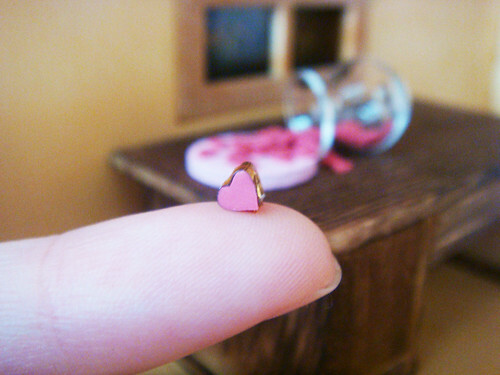 AiClay - a Haven of Miniature Food: Itsy-bitsy fondant hearts! 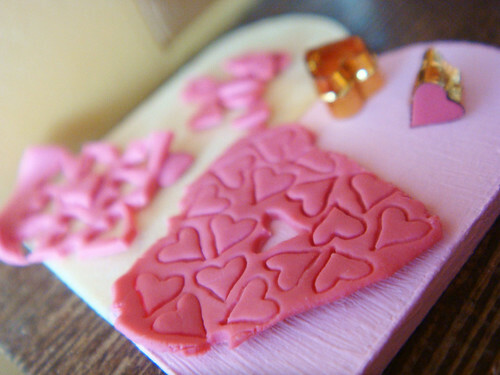 Roll out miniature fondant, press in miniature cookie cutter. Repeat 482 times. 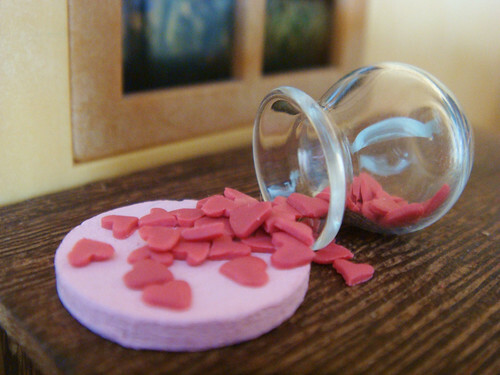 When you've got a dozen fondant hearts cut out, place them in a heap in a glass bowl. Keep them in the fridge to keep them cool, and for use in further baking sessions. Any experienced real-life bakers out there, do advise me! Miniature cookie cutters, in assortment of shapes. But I can reveal that it isn't perfectly hard all around like regular cookie cutters, instead they are of a softer material, but you will still be able to cut out shapes with them! 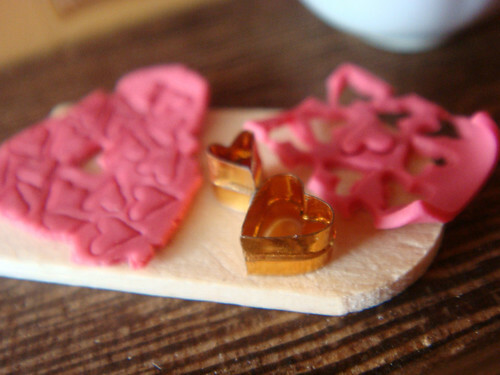 I actually used the heart-cutter pictured to cut out these heart fondants. 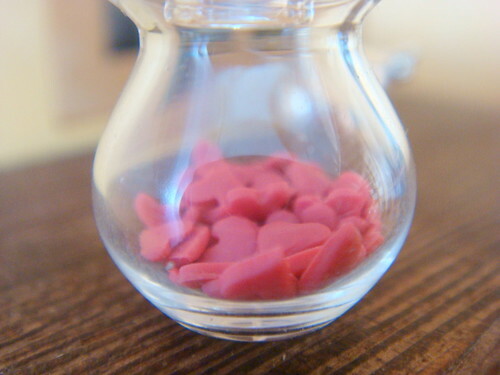 The smallest heart-cutter measures 0.4cm high and 0.3cm in width, and is suitable for 12th scale miniatures!